The death in custody of Yamatji woman Ms Dhu in WA in 2014 brought to public attention the ugly reality of law and policy that allow the jailing of those who default in payment of their fines. Ms Dhu was picked up by police in 2014 with unpaid fines of $3622 and jailed. She was suffering from a broken rib at the time of her arrest, but a medical examination deemed her fit for custody. Her condition worsened, but a second examination also declared her fit. While her health continued to deteriorate, police officers ignored her pleas for help until she died. An inquest into her death is presently underway. There are many layers of injustice that play out in this case. One is the treatment of Aboriginal people in custody, in a justice system that is wracked with racism. 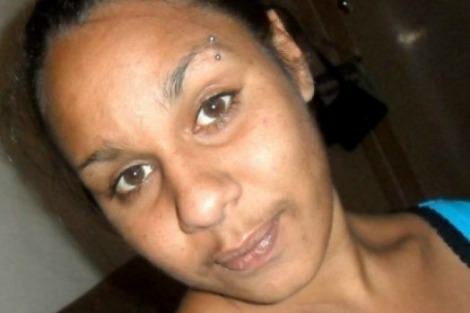 If Ms Dhu were treated with appropriate care in custody, her life may have been saved. Treatment of victims of domestic violence is also in issue in this case. It has been put to the inquest that Ms Dhu should not have been treated as a criminal, but as a victim of domestic violence. This too may have saved her life. But at the root of this case, and so many other cases of incarceration of Indigenous Australians, is the issue of imprisonment for non-payment of fines. Fines are usually levied as punishment for less serious offences that are not themselves worthy of jail. However jail may be a consequence of failing to pay a fine. For those who are able to afford the fines, jail might seem inevitable. The WA corrective services minister, Joe Francis, has made it clear that fine defaulters are to be punished. He has proposed that the WA government garnishee offenders' welfare payments to recoup unpaid fines, and to increase jail time where they remain unpaid. In his view, those who do not pay fines are shirking their responsibility, and many are taking what he calls the 'soft option' of spending four days in prison instead of paying their fines. His comments fail to appreciate how fines operate to entrench disadvantage. Fines that cannot be paid are an inappropriate and discriminatory form of punishment. "Whatever Francis may say, prison is not a 'soft option'. It is a dangerous, even life threatening, option for Aboriginal and Torres Strait Islander Australians." There are three key problems with the way in which fines function in the criminal justice system. The first is that there are some offences that disproportionately target people who are disadvantaged in some way. One example of an offence that disproportionately affects Indigenous people, particularly in WA, is unlicensed driving. It has been found, for example, that 40-60 per cent of Indigenous prisoners in Roebourne Regional Prison are there on driving offences. Many Indigenous Australians do not have birth certificates and therefore cannot get a drivers licence. Others cannot afford to become licensed. Yet those who live in remote areas often have no means of transport other than by car. When they are caught driving unlicensed, they receive a fine, and sicne many are unable to pay, they are consequently are jailed. The circumstances of many Aboriginal people in remote WA thus makes it difficult for them to participate in the apparently mainstream activity of driving. The ultimate consequence of attempting to do so, ending up in prison, thus significantly compounds the initial disadvantage. The comments by the WA corrective services minister Francis that there are 'those in society who don't want to have to pay or do anything for their failings' ignores the reality behind these offences, and that many are simply unable to pay their fines. Even where the system of fines allows for offenders to negotiate based on their special circumstances, this assumes a level of literacy and regularity of habit. For example, it assumes that offenders are able to get to the court, that they are able to show up at the right time, and that they are able to engage with bureaucratic processes. This last issue has a cultural component also, namely the confidence with which a person can deal with authority. For sections of the community that routinely experience discrimination, such as Indigenous Australians, this can be an impediment to engaging successfully with an authoritarian system. It may not be clear just why Ms Dhu defaulted on her fines. But what we do know is that because she was an Aboriginal Australian, she was at risk of being fined, that she was at risk of being unable to pay the fine, and that being sent to prison put her at grave risk for her life. Whatever Francis may say, prison is not a 'soft option'. Further, we know that it is a dangerous, indeed a life threatening, option for Aboriginal and Torres Strait Islander Australians. Because of the established links between being an Indigenous Australian and being fined, unable to pay, and jailed; and because of the need to minimise incarceration of Indigenous Australians, governments must address how these offences are framed, and the appropriateness of the punishment for breach. There are simple measures that may have kept Ms Dhu out of prison, and thus saved her life. Although Francis says that 'the punishment needs to fit the crime, not your income', there are successful models in which penalties are proportionate to income. Ultimately however, there must be the possibility of forgiving the debt in appropriate circumstances. It must be possible, for those who are unable to pay, to wipe the slate clean. In the case of Ms Dhu, such a provision would have been the difference between life and death. Surely Kate you cannot be talking about "THE LUCKY COUNTRY!" There must be some other Australia of which we are unaware or have we been sitting "in the courtyard by the fire " for too long? I think this article is terribly disingenuous and there are respected university studies that deliver vastly different conclusions and suggested policy action. http://www.ndlerf.gov.au/publications/research-bulletins/bulletin-2 Many of the driving related offenses relate to drunk driving in Western Australia. Aboriginal Australians are 6 times more likely to be DWI where the BAC i.e. > .15 The first question to ask and solve is : what is a suitable deterrent to the action of driving while unlicensed or under the influence. This article offers no solution and to the contrary provides a new incentive to break the law. i.e. the lack of punishment for criminality. The Western Australian government is taking action to garnishee welfare payments. This seems like a a suitable action and one worth taking. It will have an impact on the disposable income of welfare recipients which will hopefully make the roads safer. Thanks, Kate, for a discriminating account of the way our system fails Aboriginal people. Luke, I suggest you reread this article until you understand it. If there's one thing to be seen through and avoided in this area, it's the overly legalistic approach of Government departments. Your headline 'The death in custody of Yamatji woman Ms Dhu in WA in 2014 brought to public attention the ugly reality of law and policy that allow the jailing of those who default in payment of their fines.' refers to public attention. What public were you thinking of here? On the main points in your article. I agree that there are several things going on here. Penalising the poor is one of them, but you might also add the familiar American offence of DWB, 'driving while black'? There is quite a mosaic to be considered here. Kate outlines some of it. Luke offers some more. How tragic if this crucial set of issues can only be seen as bleeding hearts versus legalism. Queensland has 27% of all Aboriginal Australians at the latest ABS count. New South Wales has 28%. After a grievous history of mainly punitive responses to Aboriginal offenders, each of these 2 states has embarked on some strong evidence-based approaches to dealing with lower order offenders. Aboriginal people are heavily over-represented among the incarcerated in both states - more so in Queensland. Aboriginal males in Queensland are now responding to some on- country programs in which they are kept in secure, non-institutional accommodation, related to specific types of trade and occupational skill development to which they have committed. In all cases, the compulsory first course is driver training and the attaining of a driver licence. In some locations, this tuition and supervision is done with local community partnership. I'll back prevention and wise, practical rehabilitation. It's about the future being better than the past. Ellis' work is a prime example of the notion advanced by the French existentialist philosopher Jean-Paul Sartre: that committed literature, and the act of writing, are political and ethical acts. Even in a film script, one can ponder social political change. Always of the left, but never formally the structured party man of faction and following, the dishevelled, sometimes wild Ellis proved contrarian even to Labor stalwarts. There were never pious reflections, or unqualified praises. For victims and survivors, the royal commission report into family violence comes as catharsis. For activists and advocates, it is vindication. Perpetrators thrive on impunity. Impunity is built on uncertainty of punishment, cultures of silence, victim-blaming and perceived collusion with figures of authority. Dismantling this is central to violence prevention and ensuring the safety of women and children in the home. The royal commission addresses this goal across 227 recommendations.